Today there are dozens of companies offering life insurance, you can even purchase it online! How do you know which company and what coverage is best for you? Let’s face it, buying insurance is a key part of your financial plan and an important decision for yourself and your family. So you want to get the best insurance plan, one that will protect you for the next 10 – 20 years at the very least. A captive agent is an agent who works for only one insurance company. It’s like buying a “one size fits all” when, in reality, one size only fits only a few! And since captive agents can’t shop around for you, you can’t necessarily get the best policy and best pricing. You can only get what that one company has to offer. Using an online search engine can be a way to get important initial information for your insurance needs. However, it will not give you all the pertinent information you need, you could miss out on key issues that need to be addressed. Talking with a live agent though, will give you answers to questions and give you a better idea of different options that would best suit your specific needs. 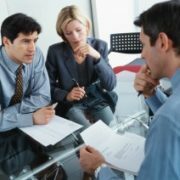 Once you fill out an application, a live agent can also help negotiate the best deal for you, especially if there is a medical or any other issue involved. You might get what seems like a great offer on life insurance from your bank, credit card or automobile insurance carrier. But don’t be fooled. Life insurance is just a sideline for these companies. 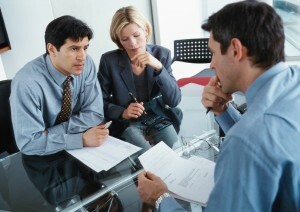 These agents may know their auto insurance and bank products, but do they know all the ins and outs of life insurance? It pays to speak with a specialist to get the best coverage you can for yourself and your family. Read here about the recent exposé by CBC news about certain banks putting pressure on clients to buy products even if it was not in their best interest. Rob Carrick wrote an article for the Globe and Mail explaining what you shouldn’t buy from the bank – insurance was one of them! Moreover, have you read the fine print? Do they guarantee a payout or do they require medical history when you make a claim? You don’t want to find out at claim time that you are not covered after years of paying premiums! Have questions about finding the right life and health insurance? Need a review of your existing insurance coverage? Contact me today for your complimentary 30 minute Insurance Consultation.